UPCOMING—I’ll be speaking at UX Strat 2019 in Amsterdam about user experience in an engineering-focused enterprise. Association of National Advertisers (ANA) hosted a 1-day conference to explore how marketers can anticipate—and prepare for—the future. I spoke on how GE Transportation weaves strateic, tacticle, and agile thinking in our large-scale software endeavors. 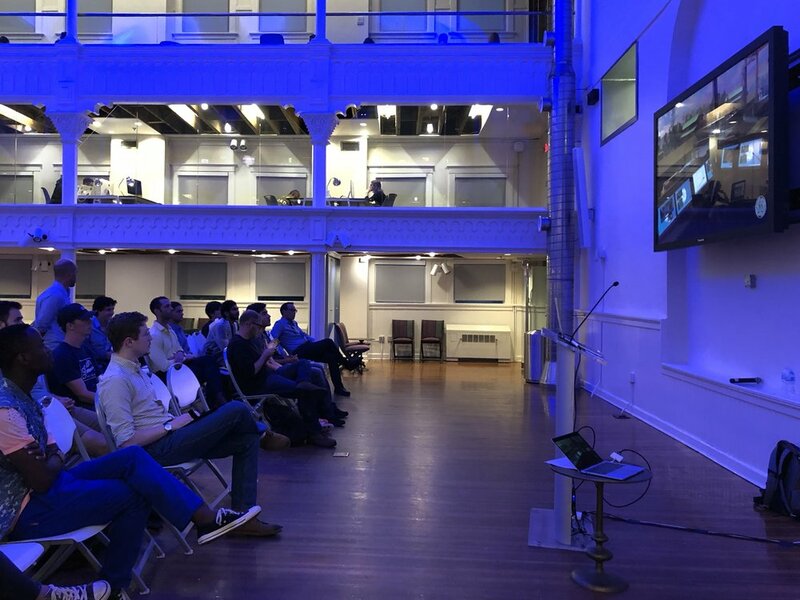 To celebrate SCAD’s 10 year anniversary of their Service Design major, they invited alumni and design leaders to share with students how Service Design is beening implemented in the design indusry. I spoke on how GE Transportation is leveraging service designers to expand our capabilities and focus on our software ecosystem. I participated on a panel with other design leaders from Google, IBM, and Amazon, giving advice to design students about getting jobs, staying engaged within the industry, and building careers. I was also lucky enough to serve as a mentor for 40+ entrepreneurial student groups that week, competing for equity-free investments from the college. In 2018 my team saw tremendous growth, needing over a dozen researchers and designers. I visited both Atlanta, GA and Savannah, GA campuses of Savannah College of Art & Design, showcasing the type of work we do at GE Transportation and the type of designers we need. Over 40+ interviews over 4 days resulted in 12 candidates visiting our offices and participating in final interviews and 6 offers eventually extended. After accepting an award for the Innovation Accelerator program I started at GE Transportation, I sat on a panel about corporate innovation labs and the challenges that occur.